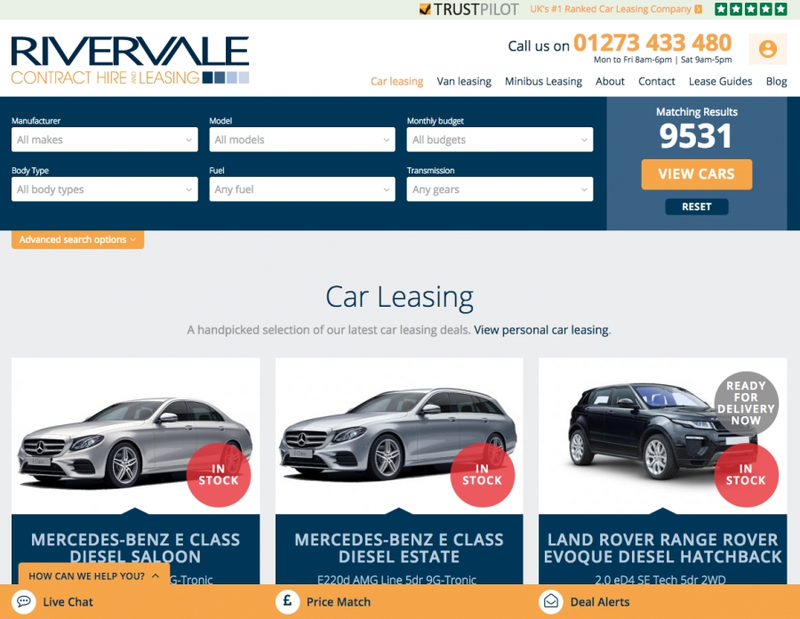 Rivervale Leasing are the UK's leading car and van leasing specialist. Established in June 2001, they are part of the well respected Rivervale Cars Group based in Brighton, Sussex. Rivervale Leasing specialise in car, van and minibus leasing. To view all the latest and best car leasing deals and have any questions answered, please come and visit the Rivervale stand in the Leasing Zone at the Motor Show. Or you can view the Rivervale Leasing website for more information and/or pop in to their new state of the art leasing showroom on Victoria Road in Portslade, Brighton. "Rivervale Leasing are delighted to be sponsoring the Leasing Zone at the 2017 Brighton & Hove Motor Show and we look forward to informing people about all aspects of contract hire and leasing." Register now for FREE entry. Print your emailed tickets or bring with you on your smartphone. Please note access to this event is via pre-registration only. Parking is available.